Join us at our next meeting!! 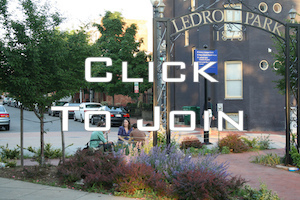 Monthly LeDroit Park Civic Association meetings are a time for members to come together, socialize and discuss issues important to the neighborhood. Guest speakers are often present to talk about topics of special concern. While these meetings are open to the public, only Civic Association members in good standing are able to vote on agenda items. Our monthly meetings are held the 4th Tuesday of every month (except August and December) at 7:00 p.m. at the Florida Avenue Baptist Church, 623 Florida Avenue NW (rear entrance).